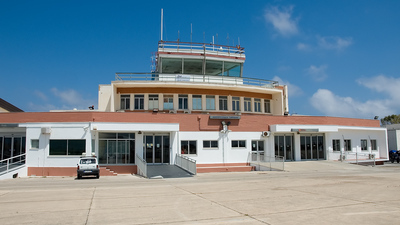 Note: Airside view of Lampedusa terminal and control tower, upon arrival from Malta. 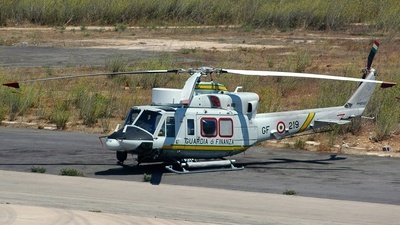 Note: code: GF-219. 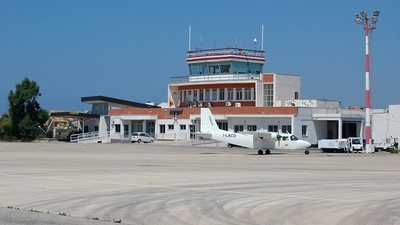 Parked at Lampedusa apron. Note: Ex. 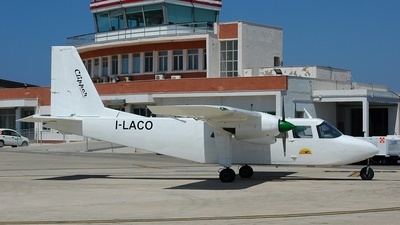 G-AWBY with Aurigny Air Services. 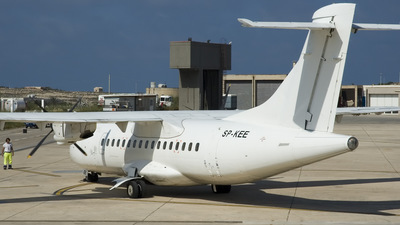 Seen at Lampedusa, way back in 2005 it was noted sporting the 'Vola su Roma' titles while operating in Malta. 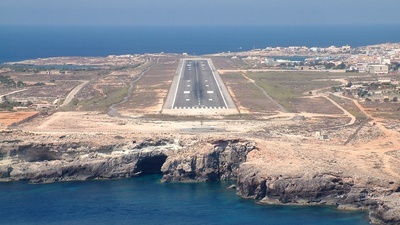 Note: Established on final approach rwy 26, approximately 45 mins flight covering a distance of 93 nautical miles direct from Malta onboard the Socata TB-20 Trinidad N123XX. 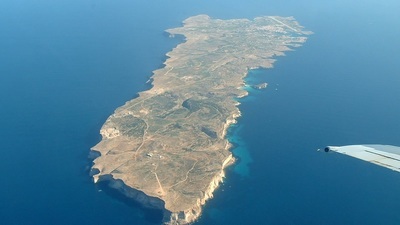 Note: Aerial Photo of Lampedusa taken from the west. 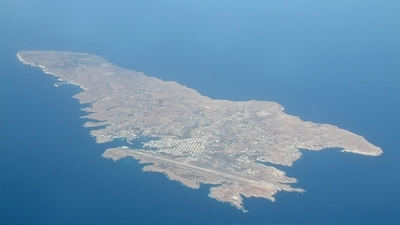 Airport can be seen at the top right of the picture, east of the Island. 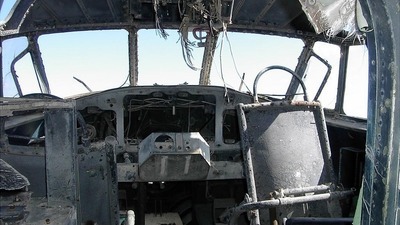 Note: Take off to Bologna. 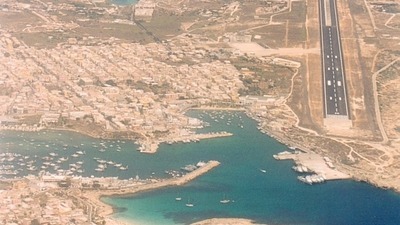 We are flying over the port of the beautiful island of Lampedusa. 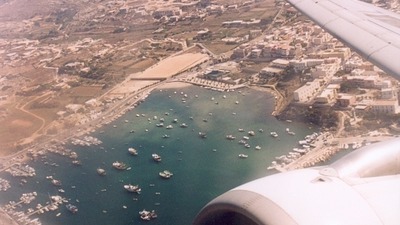 Note: Landing at Lampedusa Airport after a flight from Bologna Guglielmo Marconi. Sorry for the dirty window. 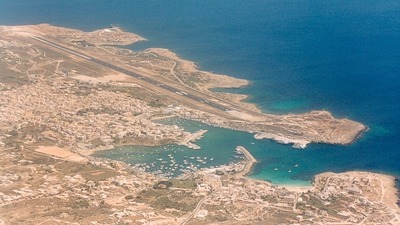 I'm flying on the Alitalia A-320 I-BIKL (previously Eurofly). 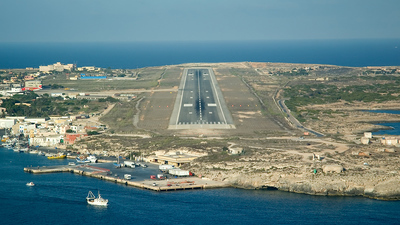 Note: Landing at Lampedusa Airport after a flight from Bologna Guglielmo Marconi. Sorry for the dirty window. 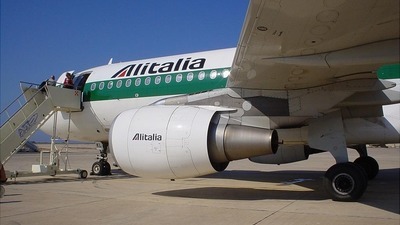 I'm flying on the Alitalia Airbus A-320 I-BIKL (previously Eurofly). 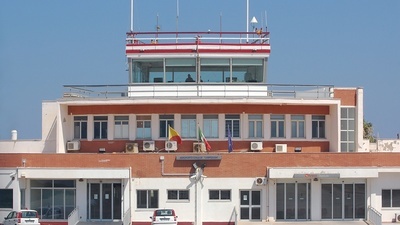 Note: Before a flight to Bologna Borgo Panigale Guglielmo Marconi Airport. 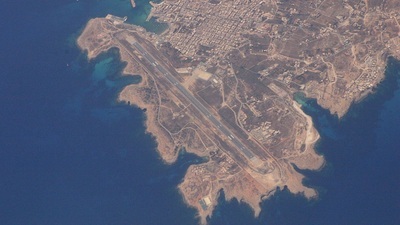 Note: Aerial photo of Lampedusa Airport [LICD] rwy 08/26, enroute to Monastir over 10, 000ft.